We’d love your help. Let us know what’s wrong with this preview of A Song for the Stars by Ilima Todd. To ask other readers questions about A Song for the Stars, please sign up. Thanks to Netgalley and Shadow Mountain Publishing for a digital galley in exchange for an honest review. When I review 2019 and my adventures in reading, I am going to have to make a special award for all these stories based on the author's lives. Also I just really need to get myself to Hawaii. The scene-Hawaii 1799. James Cook's crew has returned to the "Sandwich Islands" and instantly the tension between Europeans and people that inhabit the islands heats up. It is within all this turmoil Thanks to Netgalley and Shadow Mountain Publishing for a digital galley in exchange for an honest review. The scene-Hawaii 1799. James Cook's crew has returned to the "Sandwich Islands" and instantly the tension between Europeans and people that inhabit the islands heats up. It is within all this turmoil that the author's fourth great grandparents emerge and their story unfolds. A story of cultural clashes and ultimately the love that blossoms between a member of Cook's crew and the second daughter of the local chief. I loved the way the two perspectives of Maile and John were shared in this book- both in first person perspective, with Maile telling the story and John's through journal entries. Sometimes letters or journals in storytelling makes me hesitant, but the author used it very successfully here, with John's emotions coming out clearly, his sense of wonder over the fascinating culture, his struggles vulnerabilities. Maile has tones of Disney's Moana with her independence, love of the ocean, and loyalt I loved the way the two perspectives of Maile and John were shared in this book- both in first person perspective, with Maile telling the story and John's through journal entries. Sometimes letters or journals in storytelling makes me hesitant, but the author used it very successfully here, with John's emotions coming out clearly, his sense of wonder over the fascinating culture, his struggles vulnerabilities. Maile has tones of Disney's Moana with her independence, love of the ocean, and loyalty to her people. The historical story has darker themes however, with culture clash, misunderstanding, war, death, and grief. I thought the author did such a good job balancing the strong elements of the book and weaving them together- character development, interesting history and culture of the Hawaiian people, action with the battle scenes, and significant moments between Maile and John. They are both working through the devastation of loss, but Maile especially is confused and overwhelmed as she grieves her fiancé, heals and protects John, defends her father, worries over her people and the future, and experiences kindness from John. I liked seeing the lighter moments between them when they make each other laugh and some playfulness come out. John coming to know the ocean in the special way that Maile does is profound to him and deepens their connection. Their romance is so sweet and genuine and heartfelt. I appreciated the lovely storytelling that made this book stand out and it's one I highly recommend! Maile and John come from such different worlds. I loved how the story was told from Maile's first-person point-of-view, but also alternated with John's journal entries. The writing probably isn't true to Just over a year ago, my husband and I were lucky enough to visit the Captain Cook monument on the Big Island of Hawaii. We hiked down in and spent several hours enjoying the beauty of the area and the clear, tropical waters and that's all I could picture as I read this beautifully written book. Aimee (Getting Your Read On) I loved this book. One of my favorites this year. Katie W You’ll love it, Julie! I agree, Aimee—its a definite favorite. This was a beautiful story! First I have to say, how amazing it is for the author to have a record of her ancestors and how they met. My ancestors were so poor they never learned how to read and write. I only have their names because of the excellent way the Catholic church keeps records. Back to the story. It took me a couple of chapters to warm up to the format (journal entries alternating with 1st person present tense), but I was soon intrigued and couldn't put it down. The setting is amazing, This was a beautiful story! The setting is amazing, the customs and language too, as well as the history between the English sailors and the Hawaiian people. The way the two main characters met and formed a relationship kept me reading and wanting more. John and Maile complemented each other so well, and even their faults worked for their good. This is a story I won't soon forget. This is a beautiful book. The cover is stunning and a nice compliment to the book. The descriptions are beautifully done and give and artistry to the story. John and Maile are two characters that you love from the start. Their cultures are different and that divide caused misunderstandings and heartache. Maile showed her character when she decided to help instead of killing the man who shot her betrothed. I loved how her struggle was described in the book. The book is mainly told from her point o This is a beautiful book. The cover is stunning and a nice compliment to the book. The descriptions are beautifully done and give and artistry to the story. The Hawaiian people have such a rich history. Their culture and customs have always fascinated me. Imagine being from another continent and country and coming across these people This story was so lovely. I felt transported to another place and time and my heart expanded with every turn of the page. Knowing that this story was based on the true story of the author's ancestors made it even more intriguing. The whole story felt fresh and new- so unlike all the other books I've been reading lately. Loved this novel! Beautiful writing and images that linger characterize this unique historical love story. The characters reveal themselves as big-hearted, upright, confused, and yet kind as they seek to bridge two worlds. Though they stumble and cause pain, they ultimately find understanding and love. Hawaiian culture and thinking suffused the story and did not feel like a tacked on history lesson. The author simply pulled me into this lovely world, and I did not want to leave! Thanks to Ilima Loved this novel! Beautiful writing and images that linger characterize this unique historical love story. The characters reveal themselves as big-hearted, upright, confused, and yet kind as they seek to bridge two worlds. Though they stumble and cause pain, they ultimately find understanding and love. Hawaiian culture and thinking suffused the story and did not feel like a tacked on history lesson. The author simply pulled me into this lovely world, and I did not want to leave! Thanks to Ilima Todd, NetGalley, and Shadow Mountain Publishers for the opportunity to read this book. Quotes I liked . . .
Maile is relieved when James Cook and his sailors leave her beloved Hawaiian island; while most of her people believed Cook to be their god, Lono, Maile wasn't convinced and is glad the men are gone. However, the men soon return--and the islanders aren't so welcoming this time. A battle ensues, and Maile's fiancé Ikaika is killed by one of Cook's men; Maile takes that same man hostage when her life is threatened. John Harbottle has quickly come to appreciate Hawai'i and its people, so he is sick Maile is relieved when James Cook and his sailors leave her beloved Hawaiian island; while most of her people believed Cook to be their god, Lono, Maile wasn't convinced and is glad the men are gone. However, the men soon return--and the islanders aren't so welcoming this time. A battle ensues, and Maile's fiancé Ikaika is killed by one of Cook's men; Maile takes that same man hostage when her life is threatened. John Harbottle has quickly come to appreciate Hawai'i and its people, so he is sickened by the battle and the deaths, particularly the one he caused. Although he killed to protect his captain, he doesn't want any more conflict between the people. Although Maile is wary of him at first, she reluctantly cares for him throughout his healing process. His genuine kindness and interest in her people show Maile there is much more to him than simply being her enemy. This book was lovely, made even better by the fact that it's inspired by a true story. It was so interesting to see how the native Hawaiians viewed the Europeans and to learn more about their life and culture. The backdrop for the story (both the setting and the plot elements) was really beautiful, and then seeing John and Maile's growing feelings was just fantastic. I loved how it moved slowly, from wariness to appreciation to friendship to love, and I really enjoyed the teasing between Maile and John. This was just a highly enjoyable story from start to finish. 5 stars. One of my picks for the best of 2019. What an absolute delight from start to finish. A Song for the Stars is based on factual events that occurred in Hawai'i in the late 1700s. Why don't they teach these things in schools? I would have loved to have learned about the true history of Hawai'i in school, the exploration of it, etc. If only the settlers had brought peace with a desire to learn more about culture instead of war. But, that's another story. A Song for the Stars follows the complicated story between Maile and John Harbottle What an absolute delight from start to finish. A Song for the Stars is based on factual events that occurred in Hawai'i in the late 1700s. Why don't they teach these things in schools? I would have loved to have learned about the true history of Hawai'i in school, the exploration of it, etc. If only the settlers had brought peace with a desire to learn more about culture instead of war. But, that's another story. A Song for the Stars follows the complicated story between Maile and John Harbottle (both fictional, to my very great disappointment). Maile is the chief's 2nd daughter, meaning she is allowed to marry for love(!) instead of political alliance. John is an explorer and translator sailing with James Cook (actual historical human), attempting to find the Northwest Passage. Initial landfall by the sailors occurs during a time of peace, but an incident with their ship causes them to turn back and the second landfall occurs during a time of war. BIG mistake y'all. John becomes responsible for killing Maile's fiance in the battle and she takes him as her prisoner. Does anyone else feel the tension building? Wounded prisoner with nowhere to go? Mortal enemies? Supposedly insurmountable odds? They continue to form a tenuous bond while she heals him (repeatedly), teaches him to navigate the stars, and he offers his company's help in another conflict. I loved the back and forth throughout the book, the way they develop a trust and a mutual respect between them. How their cultures are weaved together and appreciated by the other. How they truly try to understand one another. A Song for the Stars is out now, and I highly encourage you to pick it up. It will teach you a bit about Hawaiian history, their beautiful culture, and give you an amazing love story to boot. This beautifully written story about an English sailor and a Hawaiian princess is a breath of fresh air. I love reading historical fiction and this book is a different type of story to any I have read before. The emotional struggles Maile goes through with the loss of a loved one and threats to her people while trying to figure out what she is feeling towards a foreigner really tugged at me. This is one of those books I didn't want to put down, but I didn't want it to end, either. I loved this story so much! My daughter and nearly half of my grandkids live in Hawaii, so I've come to love this beautiful place and its culture. In this story, as Maile teaches John how to navigate she also educates him about her culture and herself. It was a wonderful way to introduce readers who aren't familiar with it. John himself is a treasure. On his own, he'd already been learning the Hawaiian language enough to serve as intrepreter for his captain. John was open in ways that arrogant people coming upon a culture they considered primitive and inferior normally weren't. He had a thirst for knowledge that made him teachable. I don't know many people today who would have been receptive to the idea of lying in a calm ocean pool all day just to learn to understand, to learn to feel--and listen to--the ocean. 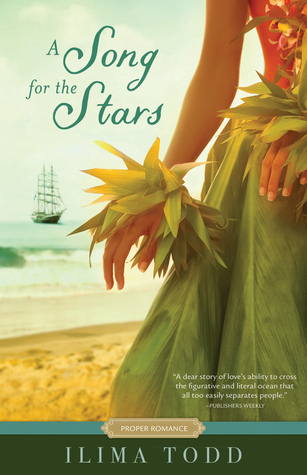 "A Song for the Stars" is the story of Maile, daughter of a Hawaiian chief, and John, the translator for the famous Captain James Cook. Both of them are from very different worlds with very different cultures. At first, neither one really understands each other. Through a series of events and misunderstandings, they are thrown together in ways that they can't begin to understand. The relationship between Maile and John was so interesting to watch unfold. Both of them start out knowing nothing ab "A Song for the Stars" is the story of Maile, daughter of a Hawaiian chief, and John, the translator for the famous Captain James Cook. Both of them are from very different worlds with very different cultures. At first, neither one really understands each other. Through a series of events and misunderstandings, they are thrown together in ways that they can't begin to understand. The relationship between Maile and John was so interesting to watch unfold. Both of them start out knowing nothing about each other's culture at all so they teach each other. Neither one of them can believe that they're forming a tenuous friendship (but a friendship nonetheless) with each other. It will astonish their family and friends and it may even push them away but they can't help it. I really liked the addition of John's journal entries, which give us a lot of insight into what he's feeling and going through at different parts in the book. The book takes place in the late 1700s when European explorers roamed the earth finding "new" lands. I loved all of the detail that the author infused into the story. I love reading about Hawaii - it truly has amazing history but I think this might be one of the first books that I have ever read that was set during this time period. I love how the author captured the friction between the Hawaiians and the Europeans. First sentence: I sink lower into the hull of the canoe, pressing my back against the koa wood along the base. My eyes close, eclipsing the stars above me in the night sky. I relax and try to feel the rhythm of the sea. Premise/plot: The setting for A Song for the Stars is Hawaii in the eighteenth century. Maile, our heroine, is the second daughter of one of the royal chiefs. She's engaged to marry a navigator, Ikaika; they've known each other for ages--but it's love, true love. But life changes First sentence: I sink lower into the hull of the canoe, pressing my back against the koa wood along the base. My eyes close, eclipsing the stars above me in the night sky. I relax and try to feel the rhythm of the sea. Premise/plot: The setting for A Song for the Stars is Hawaii in the eighteenth century. Maile, our heroine, is the second daughter of one of the royal chiefs. She's engaged to marry a navigator, Ikaika; they've known each other for ages--but it's love, true love. But life changes dramatically for the island when Captain James Hook visits the island. His first visit coincides with a joyous celebration. Could Cook be the promised god come to visit? His second visit does not go as well. It's a different season, the season of war. When the two peoples clash, Maile gets caught up in the middle of it. Unbeknownst to her family--to her father--she secretly 'saves' the white translator, John Harbottle, and heals his battle wounds. I doubt she could even tell you why. It's anything but simple. The story alternates between Maile's and John's point of view. Une histoire sympathique malgré des lenteurs et des détails peu logiques. J’ai aimé les références à la culture hawaiienne même si c’était parfois vraiment bizarre par rapport à nous. L’héroïne m’a fait penser à Vaiana, la princesse Disney du dessin animé, le héros est plus transparent. Mais malheureusement le style est à la 1ere personne du présent, dommage ! I loved how new and fresh this story was for the Proper Romance series! I was lucky enough to get an early copy of this book. Such a beautiful story. The characters drew me in and felt so real. The story left me breathless, wondering how things could possibly work out for Maile and John. And I especially loved learning about the Hawaiian culture. While there are many differences between two such cultures as England and Hawaii, there are also many similarities. The themes of love and forgiveness and working together really spoke to me. I highly recommend this one. I loved this book. I suppose that's obvious from the five-star review, I don't tend to give out many of those, but this story and the way that it was told earned it. I was captivated from the moment that I first started reading to the last sentence. This is a love story. A romantic love story, where two people grow to love one another as they learn more about each other, but also a love story about the place that it is set. I have never been to Hawaii, but it was portrayed so clearly, that I cou I loved this book. I suppose that's obvious from the five-star review, I don't tend to give out many of those, but this story and the way that it was told earned it. I was captivated from the moment that I first started reading to the last sentence. This is a love story. A romantic love story, where two people grow to love one another as they learn more about each other, but also a love story about the place that it is set. I have never been to Hawaii, but it was portrayed so clearly, that I could picture it clearly. I do have some experience in the Pacific, currently living in New Zealand and having visited a number of other Polynesian islands. Even for someone who knows little of the culture, it's so clearly explained through the eyes of Maile, who has never known anything different and John, who is a visitor to the shores. I'm not sure if this is a more of a romance or more of a story about two different cultures meeting and learning about one another for the first time. Either way, both parts of the story weave together to create an overall fascinating and satisfying read. Maile and John learn that they have as much in common as they have differences and as they discover more about one another, they fall in love. This was the kind of book that gripped me from the start, pulled me willingly along on the journey and then left with me with a contented sigh at the end. In many ways, it was perhaps inevitable that I would love this book. Historical fiction has long been a soft spot, combined with the Polynesian setting and a romance, what wasn't to love. What really brought this story to surpass all of this was the wonderful way in which it was told. I fear the only downside is that I may now be left suffering from a 'book hangover' for a while, where nothing else quite measures up and I feel the loss of the joy in its pages. Highly recommended. Wow! This historical fiction was mesmerizing. And when I read the authors note and realized it's loosely based on her ancestor's love story, I loved the story even more. I love how the story is told from two points of view, Meile's in prose and John's diary entries. The story of how two cultures meet and learn to understand each other and love each other was moving and engaging. I also appreciated a clean romance. Ya I received a copy of this book from netgalley in exchange for an honest review. Wow! This historical fiction was mesmerizing. And when I read the authors note and realized it's loosely based on her ancestor's love story, I loved the story even more. I love how the story is told from two points of view, Meile's in prose and John's diary entries. The story of how two cultures meet and learn to understand each other and love each other was moving and engaging. I also appreciated a clean romance. Yay! Finally a book that I can recommend without a caveat! Filled with themes of loss, loyalty, family, honor, discrimination, cultural differences, determination and girl power. LOVED it! "I fear we've overstayed our welcome." First off: That cover! It's gorgeous! Third: Ms. Todd is a beautiful writer with a beautiful talent of the written word. I LOVE that Ms. Todd was able to write this story about her fourth-great-grandparents, John and Papapaunauapu (or Maile for short). The story takes the reader on a historic journey with James Cook, John Harbottle and the royal Hawaiian family. Maile is in love and soon to be married but ships on the horizon mar that dream as white men descend on her village. Misunderstandings and language barriers lead to distrust and fighting. People are killed, love is lost and there looks like no happiness will ever find Maile again. But happiness does find her in an unusual way. Maile is the daughter of a powerful chief on a Hawaiian island in 1779. They have just had visitors to the island. Captain James Cooke and two of his ships have just left the area and Maile is so happy for the sailors to be gone. Maile sees the white sails again on the horizon and realizes that Captain Cooke and his men are back. This emotional story is about cultures, loss, and love. I found the story to be riveting, passionate and filled with engaging characters. A great addition to historical Maile is the daughter of a powerful chief on a Hawaiian island in 1779. They have just had visitors to the island. Captain James Cooke and two of his ships have just left the area and Maile is so happy for the sailors to be gone. Maile sees the white sails again on the horizon and realizes that Captain Cooke and his men are back. This emotional story is about cultures, loss, and love. I found the story to be riveting, passionate and filled with engaging characters. A great addition to historical fiction! 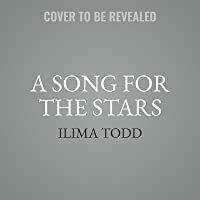 A Song for the Stars by Ilima Todd will be available April 2, 2019 from Shadow Mountain Publishing. An egalley of this book was made available by the publisher in exchange for a honest review. This book is a unique historical proper romance and I absolutely loved it! It was an amazing and sweet story of two cultures colliding and the results. It is a story of forgiveness and new love. A story of family and finding where one belongs. If I didn’t already want to go to Hawaii, it would now be at the top of my list of places travel to. Thank you Ilima Todd for sharing the beautiful story of your ancestors with the world. Thank you NetGalley and Shadow Mountain Publishing for an eARC. Several years ago I went to Hawaii and found the history to be intriguing, yet despite that, I haven't found a lot of good historical fiction books set in Hawaii, so when I read the back cover blurb for A Song For the Stars I decided to go for it. There was so much history, culture, and lore woven into this book that made reading it a rich experience of learning about a people group that I don't have a lot of knowledge about. I didn't realize until the end that the story is based loosely on that of the author's four-times-great-grandparents, but when I read that, it made the story even more special to me. I'm going to go with a list of pros and cons for this book, because there was so much I did like, and yet some things that weren't to my liking. The setting... I felt as if I'd been immersed into Hawaiian culture and sucked into their world. I felt the rain, the thinness of the pounded bark clothing, heard the swaying of the heavy foliage, the rhythm of the waves. I could taste the salt of the ocean, imagine the terror of the battle, and see the droplets of blood from knife cuts. The culture... I learned so much about how Hawaiians lived back then - their beliefs, practices, worldview, why they did what they did, and how it impacted those around them. It was very interesting and presented in such a way that I felt like I was learning at a good pace, not having information shoved down my throat for the sake of sharing it. The characters... Especially Maile, the main character, were well written and had depth. I liked seeing how Maile viewed life because it was quite different from how I view life. I especially like how the author kept her very non-modern-American. There were many things that she did that I halfway cringed about, but she felt like it was so normal she didn't give it a second thought - that was one of my favorite parts of the book. John killing Maile's fiancé. As far as I could tell this wasn't part of the true life story that the book was inspired by, and therefore it felt needless to me. It bothered me how both John and Maile reacted to this heartbreak, but I won't go into that because of spoilers. So, obviously I don't have a lot of cons, but they were strong enough ones that they bought the book from four stars to three stars for me. This isn't Christian fiction, and it does talk about the gods the Hawaiian's believed in, etc... Plus, it has a lot about the ocean where it portrays it as something (someone?) that consciously helps, hurts, or is angry with humans. This didn't bother me because it's part of the beliefs the Hawaiians held, but it's also something I don't agree with. I wasn't at all sure I would like this book but decided to give it a shot. Glad I did. I was fascinated by the history in it. I loved learning about the native's beliefs and how very different and hard to understand it would be for the English. And how foreign the English ways would be to the Hawaiians. And it was interesting to learn how they navigated without tools outside of a true understanding of nature. And I loved that the book is inspired by a true story. I had some strong emotions duri I wasn't at all sure I would like this book but decided to give it a shot. Glad I did. I was fascinated by the history in it. I loved learning about the native's beliefs and how very different and hard to understand it would be for the English. And how foreign the English ways would be to the Hawaiians. And it was interesting to learn how they navigated without tools outside of a true understanding of nature. And I loved that the book is inspired by a true story. I had some strong emotions during my reading. One summer I went on a whale watching tour which was awesome except for getting extremely seasick and because I couldn't just get off the boat out in the middle of the ocean I began to feel the anxiety of claustrophobia. I was so anxious to get out of the ocean even if the whales were fascinating. My anxiety overrode the wonder of it all. So when Maile has John get out of the boat in the middle of the ocean and tread water by himself for an hour I was feeling totally panicked. All that anxiety came back. How could John do it? I felt every wave and the panic that went with it. He was awed by the close up whale watching experience. I felt terror reading it. I liked Ikaika and the relationship he had with Maile so I was sad at his death. But I also really liked John and his kind and tender heart so I was able to root for his relationship with Maile too. I loved that he sought to understand not just the language of Maile's people but also to truly understand their culture. And he saw the beauty in it. I loved that Maile was strong and brave. She wasn't afraid to learn what was not traditionally women's work and was even brave enough to go to battle. And she was a strategic thinker and not afraid to offer her thoughts to her father and others. Definitely a feminist. Sometimes they even listened to her ideas. I want to hear more of their story. Did Maile ever travel with John? Did he ever take her to England? Did he teach her English and to read and write? Or was there just never any need to do so? Did she ever get to read his journals? Did they deal with negatives for having an interracial marriage or was it respected by the people? Did John become a farmer or just part of the royal family? They say a sign of a good book is that it is too short and since I wanted their story to continue I had to give this one 5 stars. My one negative was that I'm not a fan of first person present tense. I get used to it after a while but it isn't my fav. I’ve read books by this author before. But this one’s a different genre than she’s written before. And she’s done a really great job with it. There are so many things to love about it. Let’s start with Maile. I couldn’t help but picture Maile a bit like Moana from the Disney film. She’s the daughter of a Hawaiian chief, way back in the 1700’s. I loved the way Maile had her fiance that she’d known all of her life, Ikaika. They were to be married soon and life seemed perfect. And then disaster stru I’ve read books by this author before. But this one’s a different genre than she’s written before. And she’s done a really great job with it. There are so many things to love about it. Let’s start with Maile. I couldn’t help but picture Maile a bit like Moana from the Disney film. She’s the daughter of a Hawaiian chief, way back in the 1700’s. I loved the way Maile had her fiance that she’d known all of her life, Ikaika. They were to be married soon and life seemed perfect. And then disaster struck. Maile finds herself with a dead fiance and taking care of his killer, John. There were a lot of things about Maile that I loved. She was so strong. She dealt with the passing of her fiance and best friend. And she moved on and was able to forgive John. But at the same time, she kind of protects herself and builds a bit of a wall. She was fierce, willing to help protect her island and family in any way she needed to. But she was also soft, taking care of John’s wounds as best as she could. I loved the way the author puts John’s point of view. She uses his journal entries. That made things seem a bit more real and beautiful. It also shows the reader a side of the characters that they usually don’t get to see. A more intimate side. John is an amazing man. I think it would be hard to be a sailor in those times and live in the conditions that would have been prevalent on the ship. Everything about the plot does a great job pulling the reader in from the very first page. I didn’t want to return from my “trip” to the beautiful Hawaiian islands and the people who lived on them. And when I got to the end and realized that this one is based on the authors own ancestors, well, that just made the whole book even better for me. A Song for the Stars by Ilima Todd is an unusual and fascinating romance novel. It was inspired by the true story of a British sailor marrying a Hawaiian princess in the late 1700s. The author is a descendant of John Harbottle and Papapaunauapu, who had eight children. Ilima Todd grew up on the island of Oahu. The author weaves together some historical facts that occurred at different times to make the novel tighter and more informative. For example, Captain James Cook is present in the book, but A Song for the Stars by Ilima Todd is an unusual and fascinating romance novel. It was inspired by the true story of a British sailor marrying a Hawaiian princess in the late 1700s. The author is a descendant of John Harbottle and Papapaunauapu, who had eight children. Ilima Todd grew up on the island of Oahu. The author weaves together some historical facts that occurred at different times to make the novel tighter and more informative. For example, Captain James Cook is present in the book, but he visited the Pacific islands at a different time than John Harbottle. She also used her imagination to detail the courtship of her ancestors. The novel focuses on two people from two different cultures learning to understand each other. Although A Song for the Stars is part of Shadow Mountain’s Proper Romance series, it is more of a historical novel than a traditional romance. While the couple do end up together, their courtship is an unusual one. Only at the very end does it even become possible for them to marry. Not only must the princess and the sailor learn to work together, so must the Hawaiians and the British. The author uses Hawaiian words to help set the scene, and a helpful glossary is included at the end. If you enjoy learning about other cultures and watching as two people come to know, respect, and love each other, you may enjoy A Song for the Stars. I enjoyed this book so much but loved it even more when I got to the end and realized it is a fictionalized version of the story of the author’s ancestors, a British sailor and a Hawaiian chieftess. *Sigh* This was an amazing story. If you are in need of a vacation, but can't get away, I recommend reading this book. It sweeps you away to the Hawaiian islands. You can feel the warmth of the sun, the sand beneath your feet and hear the ocean brushing up against Hawaii's shores. Paradise...still untouched by European colonization. If you loved Moana, you will enjoy this story. I visualized Maile as a grown up version of Moana. I felt like I appreciated the story so much more imagining Maile as *Sigh* This was an amazing story. If you are in need of a vacation, but can't get away, I recommend reading this book. It sweeps you away to the Hawaiian islands. You can feel the warmth of the sun, the sand beneath your feet and hear the ocean brushing up against Hawaii's shores. Paradise...still untouched by European colonization. If you loved Moana, you will enjoy this story. I visualized Maile as a grown up version of Moana. I felt like I appreciated the story so much more imagining Maile as Moana. I learned a lot about the native Hawaiian traditions and culture, making the native's life so much more intriguing, especially their love and understanding of nature. The most important lesson in this book though is about forgiveness and learning how to love your enemy. I highly recommend this story. It really made me sigh. Maybe it was the love story part or maybe because it painted Hawaii so well...whatever it was, I'm glad I read this. This has been one of my fastest reads. Couldn't get enough of the culture, relationships, and writing. The history. All of it tied into a wonderful, slow burn romance that when you read the last page, you're asking for more. Ilima is literally the best writer for this story and handled it so delicately and mesmerizingly. Her ancestors are cheering loud!